Patrick Stewart says he's applying for U.S. citizenship in order to fight and oppose President Donald Trump. The British actor said on Thursday's episode of "The View" that he and his wife went to Washington last month to visit friends and to ask them what they could do about Trump. He said the only answer was to "fight" and "oppose" Trump, but he can't do that because he's not a citizen. The 76-year-old Stewart stars in "X-Men" and "Star Trek." 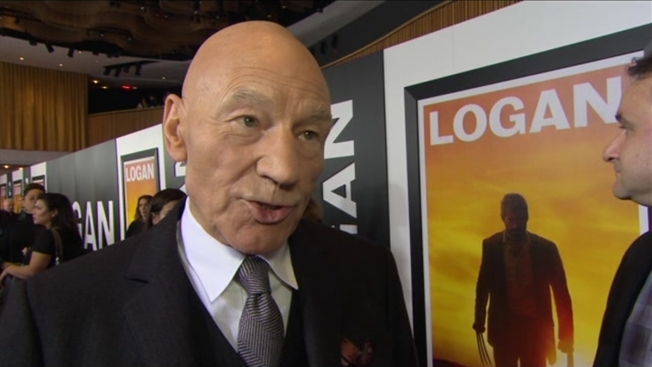 He reprises his role as X-Men founder Professor X in the Wolverine tale, "Logan," which opens Friday.